The existence of Yeti, also called the Abominable Snowman, remains shrouded in mystery, much like Bigfoot, but there is at least one serious believer out there among the skeptics. That believer just paid $11,158 for four photos from a 1951 Mount Everest expedition that purport to be Yeti footprints made in the snow in the Menlung Basin. The photographs taken by Eric Earle Shipton were part of a 15-day online auction by the famed London auction house Christie’s. The photos were entitled “The Abominable Snowman” and were among the items in the “Out of the Ordinary: the Online Edit” auction, which ended a few days ago. A representative from Christie’s told GrindTV Outdoor in an email Monday that the winning bid was £6,875. The photos were expected to fetch between $4,800 and $8,100 USD. 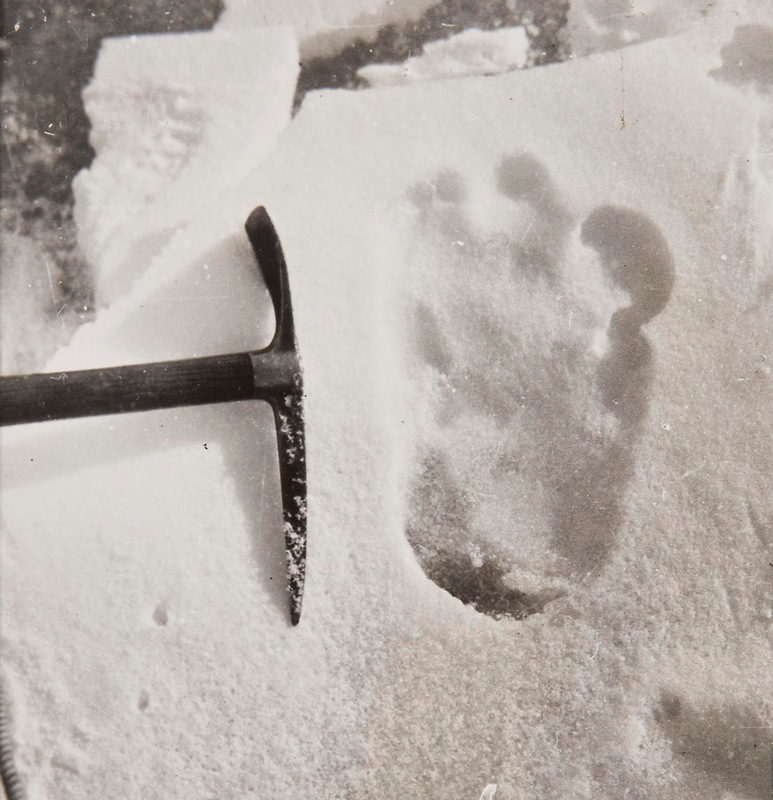 Shipton took a photo of the alleged Yeti footprint next to a booted foot and then another next to an ice axe to give an idea of the footprint’s size. He took two other photos showing a series of alleged Yeti footprints next to human prints and with a rucksack beside them. The footprints measure between 12 and 13 inches. 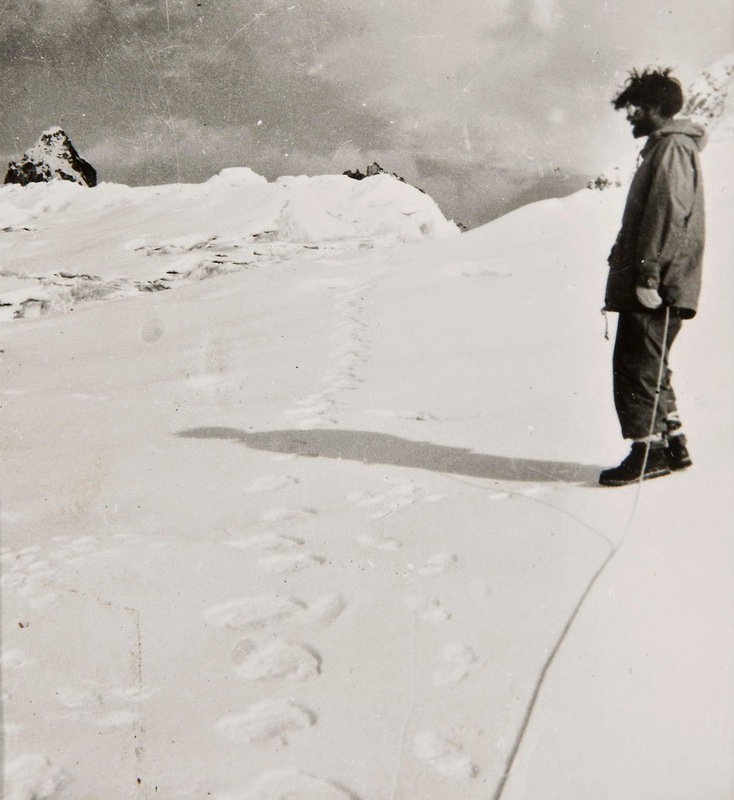 Ward, in a paper called “Everest 1951: the footprints attributed to the Yeti—myth and reality,” described the day the footprints were discovered. 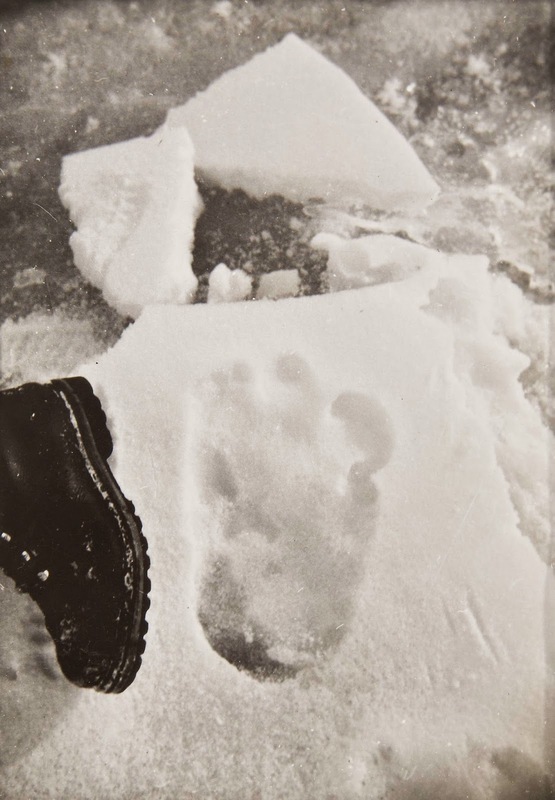 A booted foot next to alleged Yeti footprint in snow. Not surprisingly, the photos have been scrutinized by paranormal investigators, scholars, and skeptics, all debating their authenticity. These photos were taken 25 years after Royal Geographic Society photographer N.A. Tombazi claimed to have made the first European sighting of Yeti during an expedition to the Sikkim Himalaya, according to the Lot notes from Christie’s. In 1952, a year before becoming the first to successfully climb Mount Everest, Sir Edmund Hillary was with two other climbers when one of them stopped and picked something off the rock. They became excited. The photos and accompanying evidence of the existence of Yeti might be compelling but, obviously, aren’t nearly enough to say conclusively, though the anonymous winning bidder of the auction might disagree. Actually, this wasn’t the first time these photos have been sold, according to U.K. MailOnline. They sold at auction in London in 2007 for £3,500 or $5,680 USD. So there are at least two people that seriously believe in the existence of Yeti.